Homegoing Service for Ms. Cassandra Brooks, 45 of Decatur, AL. will be 1:00 p.m. Saturday, February 2, 2019 at Reynolds Funeral Home Memorial Chapel, with Bishop Cary Orr, officiating. Public viewing will be Thursday, from 3-7 pm and Friday, from 10:00 am - 6:00 p.m.
Cassandra was born to Theotis Burks and Jeanette Brooks Miller on November 27, 1973 in Decatur, Alabama. She departed her life on Sunday, January 27, 2019 at Decatur Morgan Hospital-Decatur General Campus. 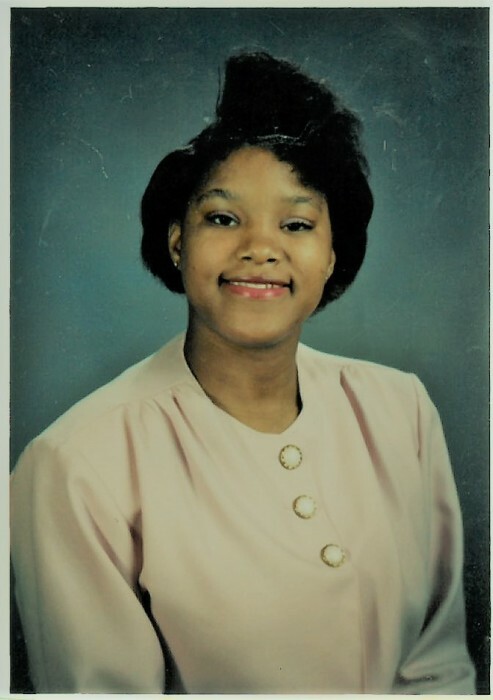 Cassandra accepted Christ as her Lord and Savior at an early age at Pentecostal House of Prayer and Deliverance under the leadership of Bishop A. Jones. She was preceded in death by her great-grandmother, Sophia Jennings; grandmother, Maxine Collier; one sister, Sonya Yvette Townsend; one brother, Leo Murray Brooks. She leaves to cherish her memory: her loving mother, Jeanette Brooks Miller of Decatur; her father, Theotis Burks of Louisville, KY; stepfather, Albert Lee Orr of Decatur; two sisters, Katrina Annette Brooks of Athens, AL and Latisha Marie Brooks of Decatur; grandmother, Lavelle Burks of Louisville, KY; four aunts; three uncles; two nieces; eight nephews; and a host of other relatives and loved ones.